I've just finised to read the The Essential Guide to Flex 2 with ActionScript 3.0 by Charles Brown. It's a great book and we're evaluating if using it as learning material for our Flex 2 courses. We have a lot to read and learn !! AUGItaly blog opens a new section dedicated to Adobe CS3. Moreover we published a guide to Adobe Apollo in italian you can read on the FlexGala user group. In the next page you can see all the articles on Apollo we wrote, and more has to come ! I was reading the Can Adobe Unbox? article published by Forbes where they talked about the Adobe CS3 revenues Adobe expect this year. since Adobe released a preview version of Apollo last week, 40,000 people have downloaded the software and 30,000 people have downloaded its development tools, the company says. It's a great result ! The Nokia Software Update application is now available from selected Nokia local support web pages and also www.nokia.com/softwareupdate. Today we're supporting Adobe Italy to present a Flash Lite 2.1 prototype to a big company in Italy. The application runs on PDAs with Windows Mobile OS (although we would present a version for Nokia S60 devices) and has a lot of form views which the user has to populate. So in this kind of proto the usability was a serious issue and goal to reach. And of course Flash Lite is the best choice for reaching these purposes. If the project will go on we'll face with our first Flash Lite 2.1 enterprise application ! Flash Lite development requests here in Italy seams to grow and in the last 3 months Comtaste, my company, received many training and consulting request. 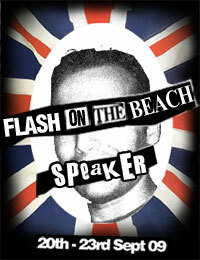 Maybe 2007 will be the Flash Lite's year ? This post is just to give you a grab of the Adobe Apollo version of Kuler runs on a Mac desktop, showed during the Adobe CS3 Live WebCast. kuler is the first web-hosted application from Adobe Labs designed both to stand alone and to complement Adobe Creative Suite software. Built using Adobe Flash and ActionScript 3.0, kuler is all about color: color for exploration, inspiration, experimentation and sharing. The day has come. The Adobe CS3 has finally been announced by Adobe. Now we're all waiting for the Adobe CS3 Live Webcast event that will start at 3.30 EST. A new update of the Device Profile has been released by Adobe on the Mobile Device Profile page. This update contains new phones for Flash Lite 1.1, Flash Lite 2.0 and Flash Lite 2.1 profile. With Flex 2 you can declare data models using MXML or Actionscript. an Actionscript Data Model is an Actionscript class where you declare the properties that represent the data you want to carry into the application. So it could often happen that you want to convert an Actionscript data model into an ArrayCollection to use it in data bindings with Flex 2 controls. This code shows you how to populate an ArrayCollection using the addItem() method starting from an Actionscript data model populated by an external xml file. Now you can use the myAC as data provider for your Flex 2 controls ! 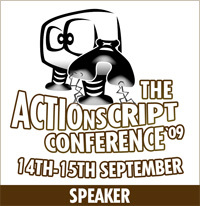 In the next page you have the code of the Student Actionscript class. After ten years of virtual hibernation, java developers have turned their attention to improving the user experience. With this change, we can expect the quality of web-user interfaces to improve at a very fast pace.